What you can do right now! 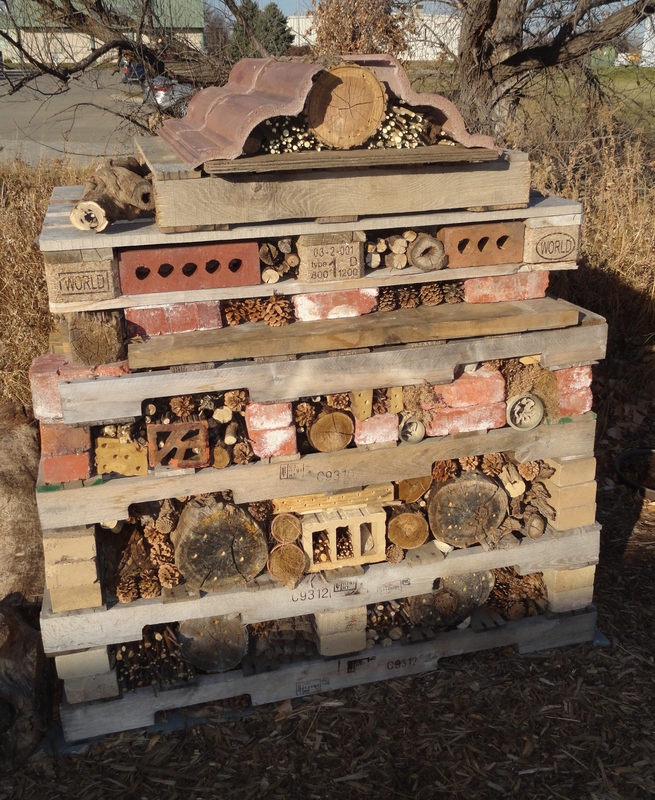 Now’s the time to start planning your insect and native bee habitat and nesting structures. 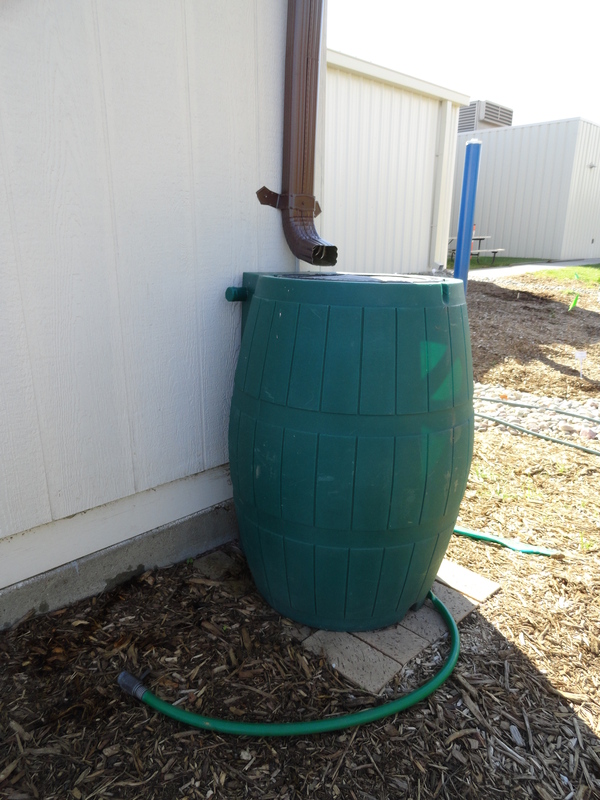 We have some photos on the blog to help give you some ideas. 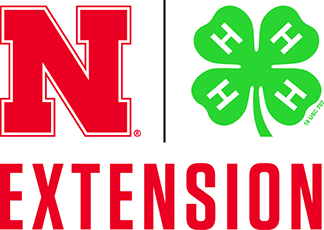 From the February 2013 NEBLINE Newsletter (free) Attracting Pollinators to Your Landscape (includes directions to make a native bee nesting block) and Biology of Native Bee Pollinators. Grab those scrap pieces of lumber and start drilling! Winter is here. 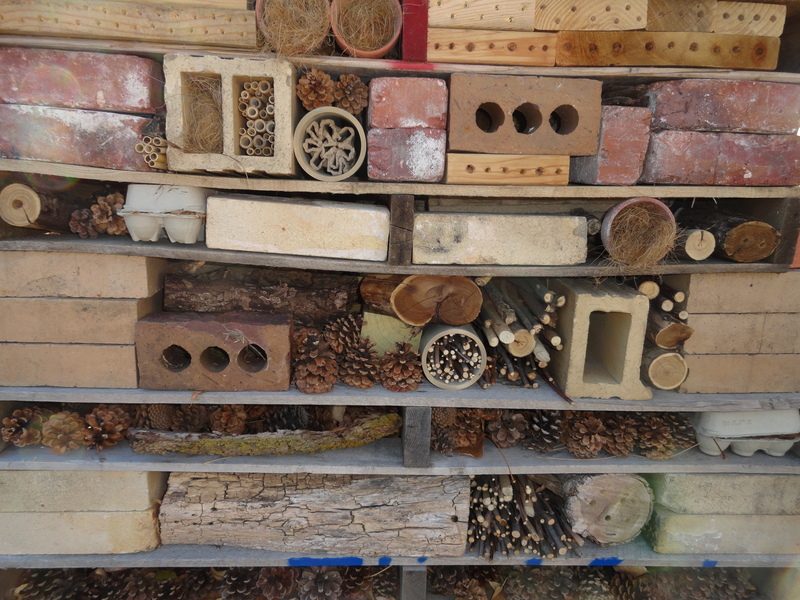 This fall we built our insect hotel and filled it with natural materials that we collected. It takes alot to fill an insect hotel of this size. We collected pine cones, logs, twigs and carefully filled each layer of the hotel. Rolled corrugated cardboard and egg cartons are nice hiding places for insects. Beneficial insects like lady bugs and lacewing over winter as adults so they need a place to spend winter months. Hollow stems like bamboo and blocks of wood with drilled holes are for solitary bees to nest. We are so excited for spring. I can’t wait for our plants & seeds to grow and see who moves into the insect hotel. We have much more to do next year, but for now we will enjoy the snow. 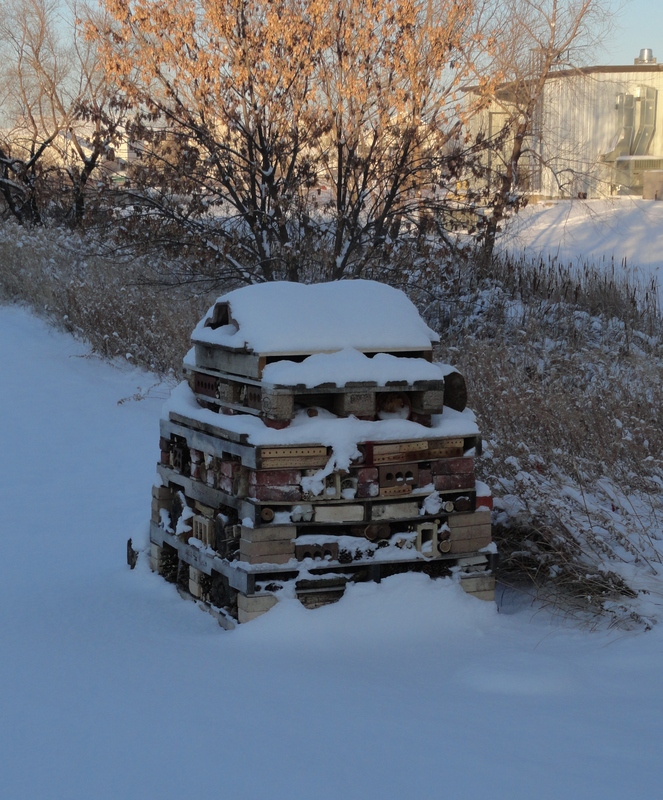 Insect hotel in November before snow.